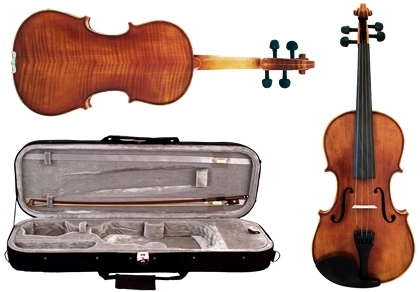 Superior Quality Student Violin Outfit with selected straight grained spruce table. Upgraded Thomastik Infelt strings fitted. Supplied in a shockproof rectangular shaped case with detachable straps. Complete with octagonal brazilwood stick bow and Hidersine rosin.